Security Analysis, Portfolio Management, and Financial Derivatives integrates the many topics of modern investment analysis. It provides a balanced presentation of theories, institutions, markets, academic research, and practical applications, and presents both basic concepts and advanced principles. Topic coverage is especially broad: in analyzing securities, the authors look at stocks and bonds, options, futures, foreign exchange, and international securities. 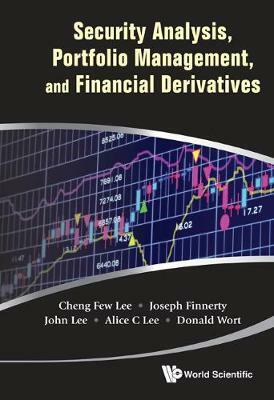 The discussion of financial derivatives includes detailed analyses of options, futures, option pricing models, and hedging strategies. A unique chapter on market indices teaches students the basics of index information, calculation, and usage and illustrates the important roles that these indices play in model formation, performance evaluation, investment strategy, and hedging techniques. Complete sections on program trading, portfolio insurance, duration and bond immunization, performance measurements, and the timing of stock selection provide real-world applications of investment theory. In addition, special topics, including equity risk premia, simultaneous-equation approach for security valuation, and Ito's calculus, are also included for advanced students and researchers.